There's never been a better reason to get a group of family, friends, or collegues together and test your putting skills at Hilton Brisbane’s luxurious new atrium putt-putt pop-up for your chance to win a complimentary glass or bottle of Veuve Clicquot. 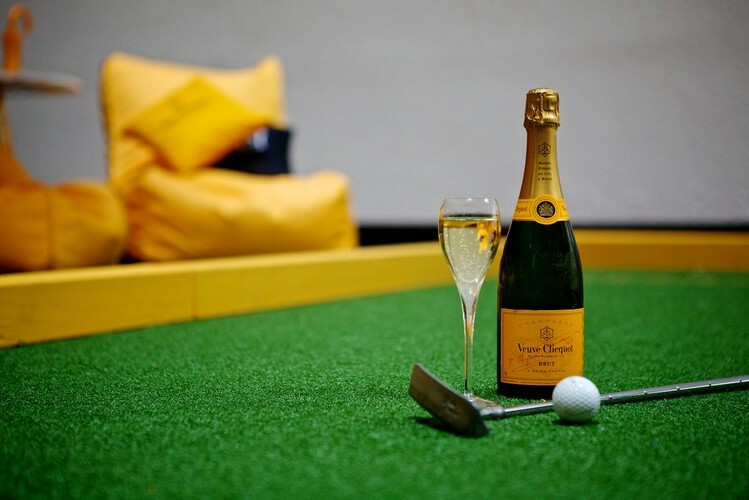 Simply purchase a glass or bottle of Veuve Clicquot in the month of April and try your luck at sinking a single hole in one to recieve a complimentary glass or bottle of Veuve Clicquot! This luxurious pop-up event is for a limited time, so call your caddy and try your luck at the Hilton Brisbane Veuve putt putt challenge.